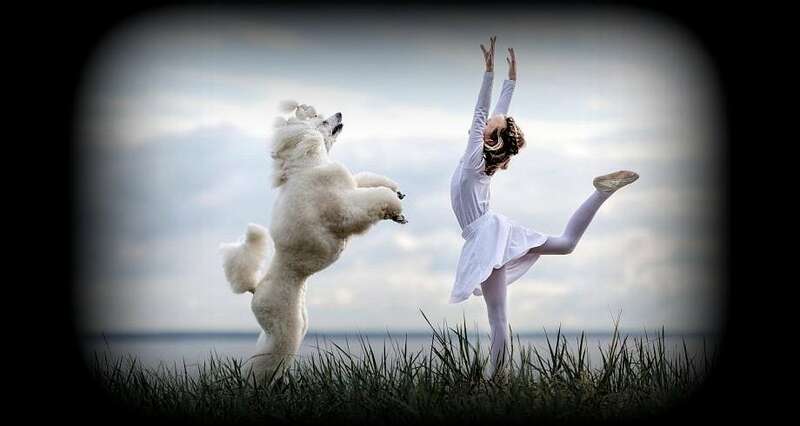 Piroutte shmearouette. 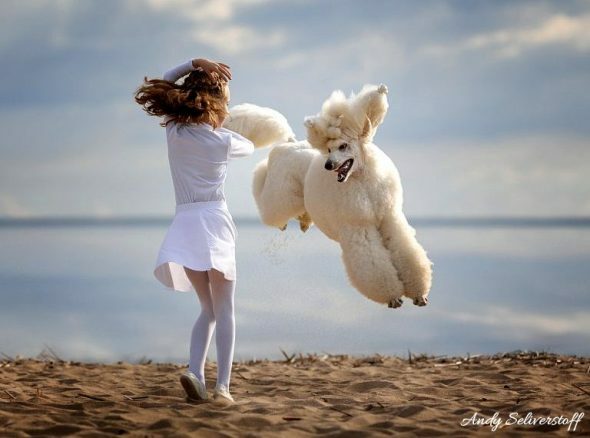 Fouetté schouetté. 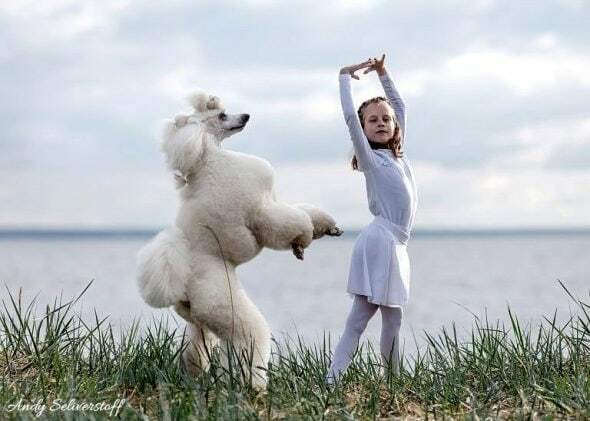 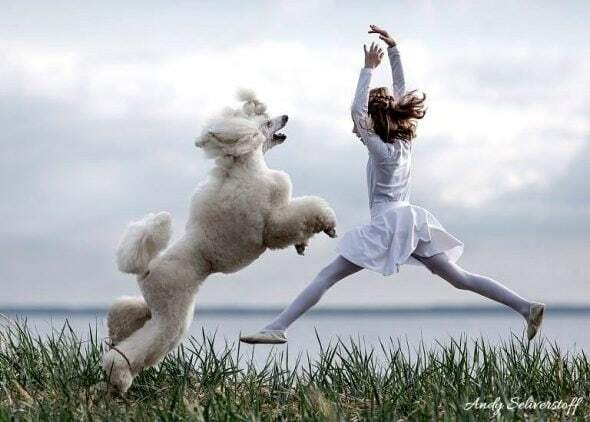 Dogs don’t know thing one about ballet positions or movements, but that won’t stop them from trying, especially not when they have a chance to ham it up for the camera! 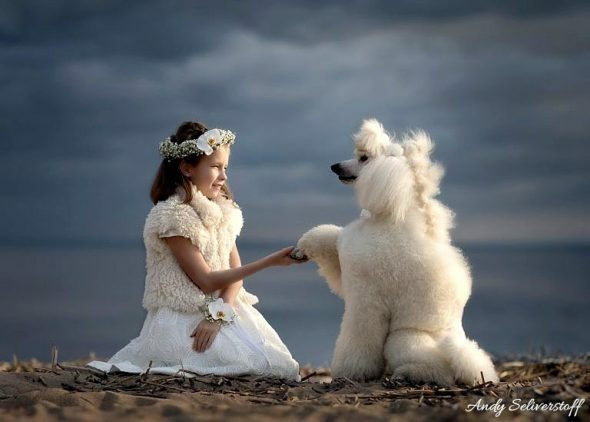 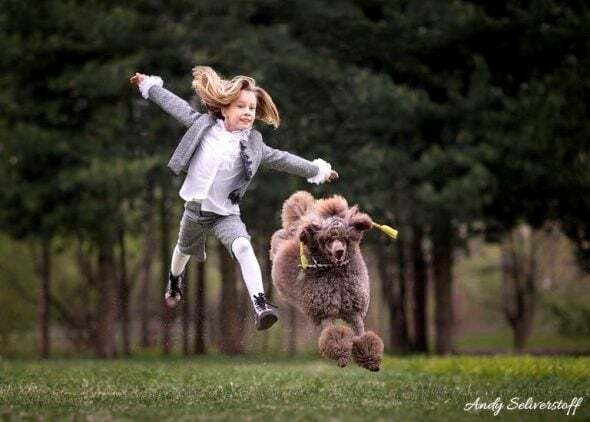 Photographer Andy Seliverstoff (aka Andrey Seliverstov) of Saint Petersburg, Russia is the man behind the camera. 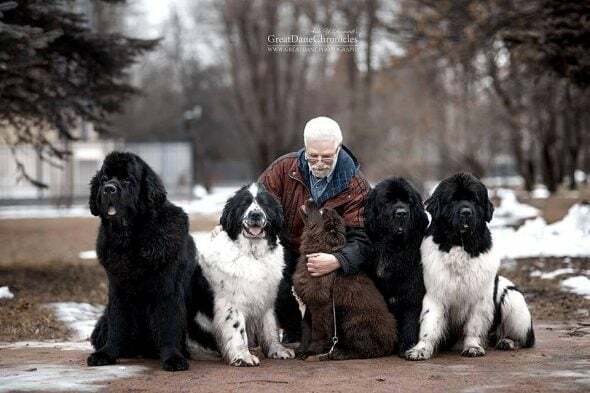 You may remember him for his whimsical Little Kids and Their Big Dogs series, which we shared with you last autumn. 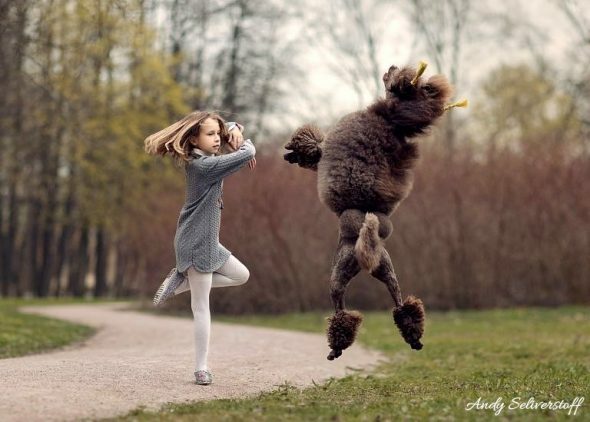 He was inspired to do the shoot by pieces from other artists in the field. 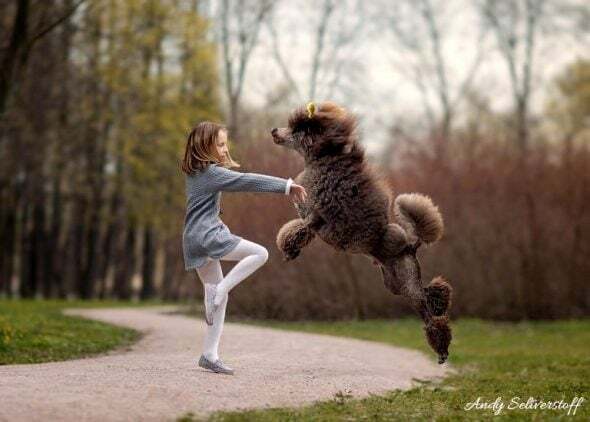 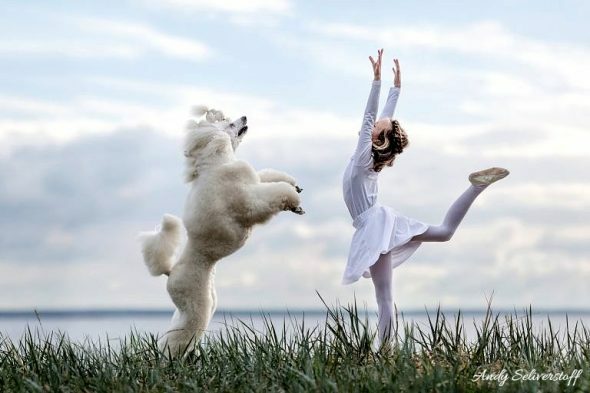 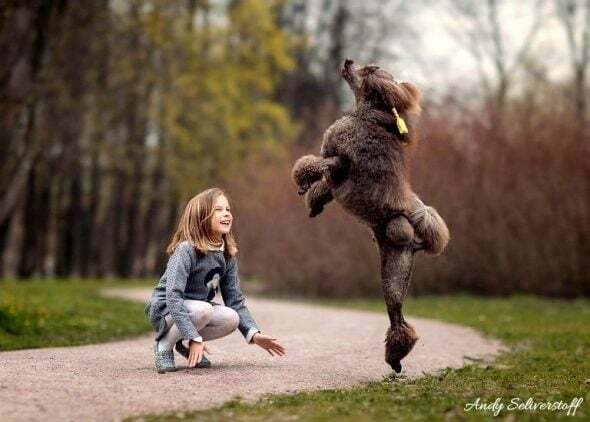 His most recent endeavor has been to capture the graceful movements of 9-year-old ballerina Maria Palkina alongside some furry pals, who thoroughly enjoyed getting to prance and frolic with her. 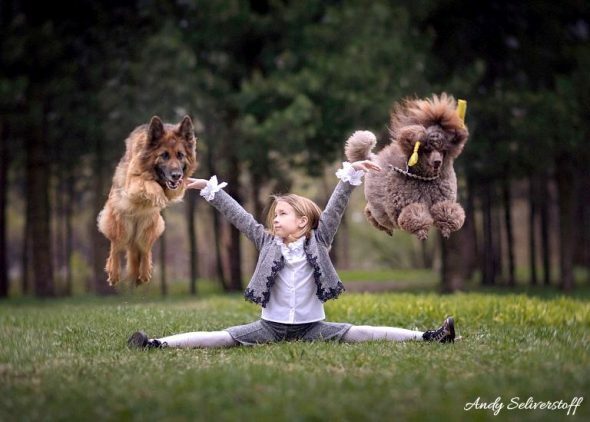 Watch out – this young lady and her doggos may soon make their debut in The Muttcracker! 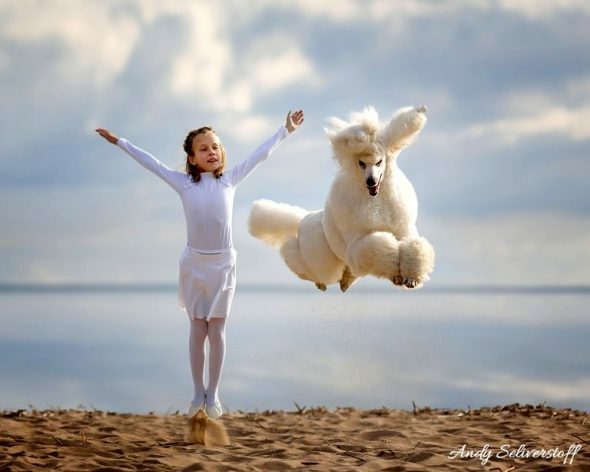 To see more of his work, follow Andy on Facebook and Instagram.